What does learning look like in Jewish education? The Mandel Center invited invited researchers and research-minded practitioners to develop narratives about Jewish learning and to reflect about conceptual frameworks that inform their findings. Under the guidance of Diane Tickton Schuster, they developed the essays that are collected in this volume. 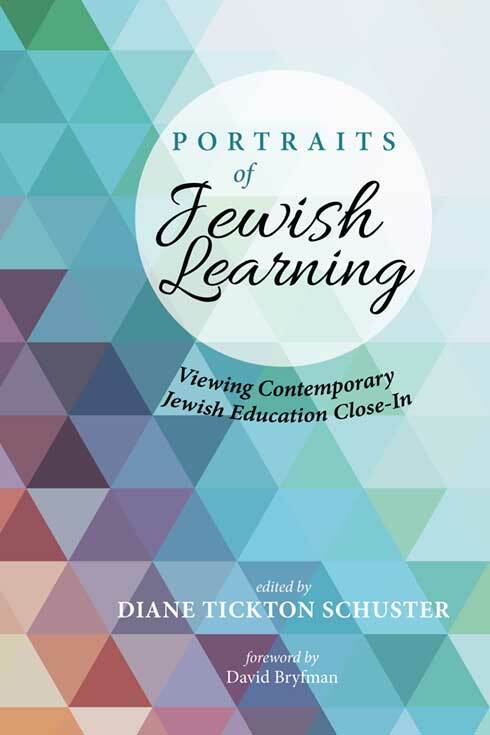 Portraits of Jewish Learning brings together colorful accounts of the ways that Jewish students today are having meaningful learning experiences in day school classrooms, Hebrew programs, synagogue-based schools, and high school and college courses that push students out of their comfort zones. These stories—informed by careful and disciplined inquiry—prompt readers to reflect on questions of what Jewish learning is, what we can discover by studying experiences of learning at close range and over time, and how Jewish education can respond to the needs and interests of Jewish learners who seek a Judaism that is relevant in today’s world. These portraits are designed to encourage critical discussion among educational leaders, clergy, policymakers, philanthropists, and parents, as well as teachers and those aspiring to work in Jewish education. They invite us to think about the many ways in which today’s Jewish education can be enriched by experimentation and innovation. This project was supported in part by CASJE, in partnership with the Jack, Joseph and Morton Mandel Center for Studies in Jewish Education.